Consumer Watchdog has joined a coalition of 22 consumer and public health advocacy groups calling on the Federal Trade Commission to stop Google’s app store from promoting games that violate children’s privacy, feature inappropriate content, and lure kids to watch ads and make in-app purchases. Google claims that the apps in the “Family” section of the Google Play Store are safe for children, but the apps often violate federal children’s privacy law, expose children to inappropriate content, and disregard Google’s own policies by manipulating children into watching ads and making in-app purchases, our coalition’s complaint said. The Play Store is Google’s one-stop shop for Android apps, games, and entertainment. Apps in the “Family” section are promoted with a green star and, in some cases, a recommended age, like “Ages 5 & Under,” or “Ages 6-8.” Earlier this year our coalition told Google about several recent academic studies showing that many of the apps in this section are a threat to children’s privacy and wellbeing. Despite our earlier warning Google continues to promote the apps with these kid-friendly ratings. The coalition filing the complaint with the FTC was organized by Commercial-Free Childhood (CCFC) and Center for Digital Democracy (CDD). Read the complaint here. Former Google Chairman Eric Schmidt used to say Google’s policy was to get up to the “creepy line,” but not cross it. Once again, I think, the internet giant’s executives have crossed far beyond the line and are making exploitation of our kids part of their regular business model. 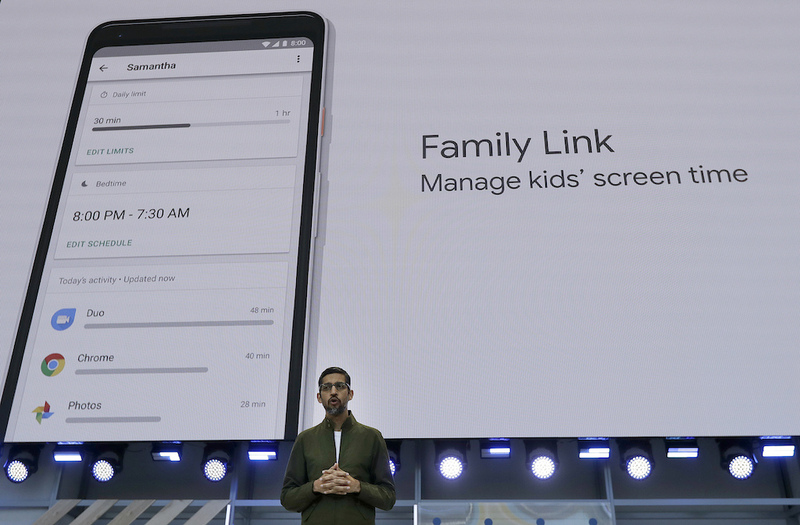 Google tells app developers its policies require apps in the Kids and Family section of its Play Store to be compliant with the Children’s Online Privacy Protection Act (COPPA). But, Google doesn’t bother to verify compliance, so Play Store apps for children consistently violate COPPA. Many apps send children’s data unencrypted, while others access children’s locations or transmit persistent identifiers without notice or verifiable parental consent. Google has known about these COPPA violations since at least July 2017, when they were publicly reported by Serge Egelman, a researcher at the University of California, Berkeley Center for Long-Term Cybersecurity. Yet knowing of the problems, Google continues to promote such apps as COPPA-compliant. It must be they care more about money than protecting our kids. Google’s policies also require kids’ apps to avoid “overly aggressive” commercial tactics, but our FTC complaint reveals that many popular apps feature ads that interrupt gameplay, are difficult to click out of, or are required to watch in order to advance in a game. In addition, games represented to parents as free often pressure children to make in-app purchases, sometimes going so far as to show characters crying if kids don’t buy locked items. The complaint also offers examples of multiple children’s apps that serve ads for alcohol and gambling, despite those ads being barred by Google’s Ad Policy. Joining the Campaign for a Commercial-Free Childhood the, Center for Digital Democracy and Consumer Watchdog in signing the complaint to the FTC are: Badass Teachers Association, Berkeley Media Studies Group, Color of Change, Consumer Action, Consumer Federation of America, Defending the Early Years, Electronic Privacy Information Center, Media Education Foundation, New Dream, Open MIC (Open Media and Information Companies Initiative), Parents Across America, Parent Coalition for Student Privacy, Parents Television Council, Peace Educators Allied for Children Everywhere (P.E.A.C.E. ), Privacy Rights Clearinghouse, Public Citizen, the Story of Stuff, TRUCE (Teachers Resisting Unhealthy Childhood Entertainment), and USPIRG. I think Google likes to announce rules and polices for its Play Store for show and then blatantly ignores them to make a buck. It’s long past time for the Federal Trade Commission to act and hold Google accountable.